If you are looking for a powerful yet lightweight marking system for metal and plastic, then you should check out MarkinBOX 3315S. This engraver combines a convenient compact design with advanced features and unmatched ease of use. MarkinBOX 3315S is a handheld marking system that can mark almost any metal and plastic. It’s portable, powerful and versatile. Plus it comes with feature-packed software that makes marking easy and fun. MarkinBOX 3315S is small and lightweight, but don’t let that deceive you – it’s a powerful marking system with unmatched ease of use and software compatibility. The main benefit of MarkinBOX 3315S is that you can position it at any angle and easily mark whatever you need to mark. It weighs only 1.5 kilos and has an ergonomic easy to hold design. If you don’t feel like using MarkinBOX as a handheld marking system, you can easily mount it or integrate it into production. 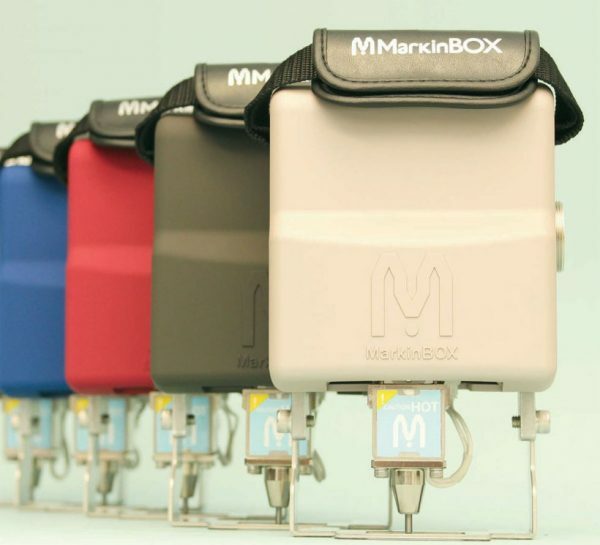 MarkinBOX 3315S is very durable thanks to a rubber-coated case (you can choose from five different colours). You can also add a metal cover to it as an option. The great thing about MarkinBOX 3315S is its software compatibility. Not only does it work with Windows, iOS and Android, but it also works with Sketchbook, a comprehensive logo design app for Windows, iPhone and Android. This software makes it easy to add branding to anything. MarkinBOX 3315S is a top-notch marking system that has unmatched portability, reliability and ease of use.